On 13 July 2007, the Palace of Justice was re-opened after approximately 15 years of general renovation works. The renovations to the interior included all the storeys, the stairwells and the relocation of the large Central Library with a brand-new glass reading room (accessible via a bridge) in one of the two inner courtyards. The historic courtrooms were extensively renovated and a new large hall was created as a representational hall for ceremonial occasions and conferences. 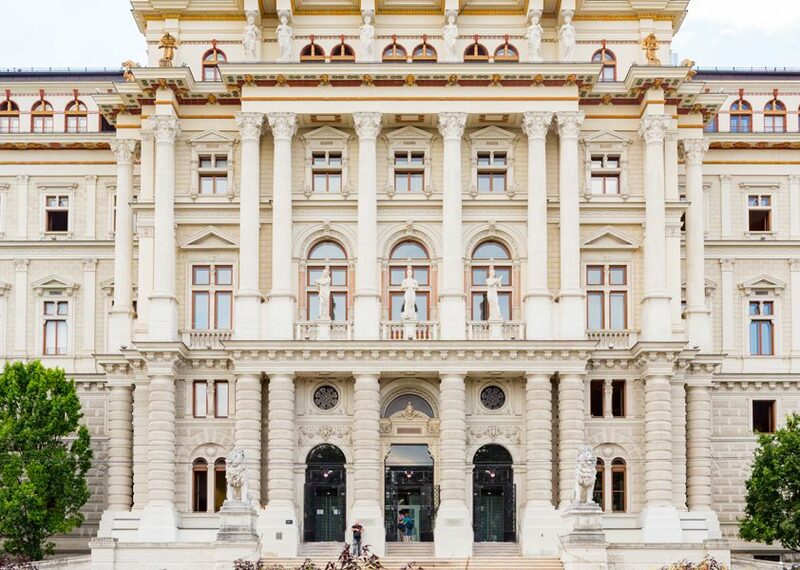 Today, the Palace of Justice is home to the Supreme Court, the Procurator General’s Office, the Vienna Higher Regional Court of Appeal and the Senior Public Prosecutor’s Office for Vienna and the Vienna Regional Court for Civil Matters.